Home > Pascal Fruitbursts. 2.25kg. 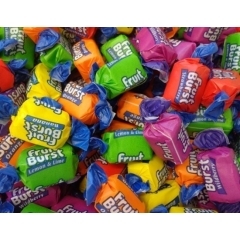 Fruit Bursts are another kiwi institution, everyone has their favourite colour. Big on bananas? Wild about berries? Totally juiced on oranges? Maybe you’re looking for lime? 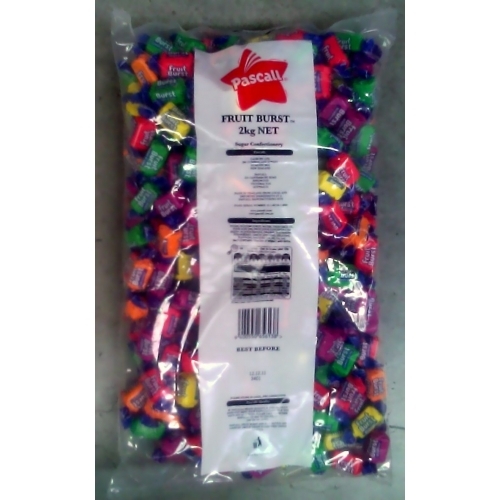 Look no further than bag of Pascall Fruit Bursts. Blast your taste buds with the ultimate in fruit flavoured chews. Count per kg: 160 approx.